A perfect gift to celebrate a new born baby girl. 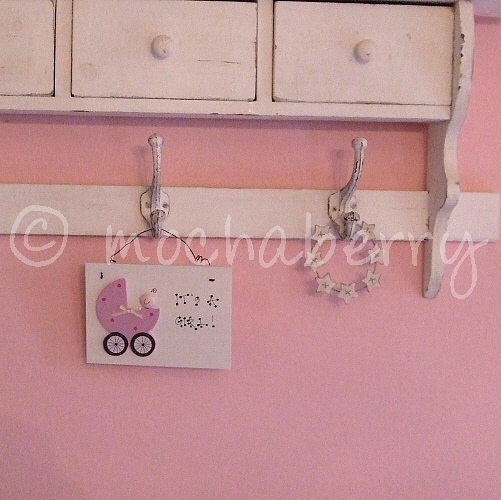 Lovely hand made white sign which says 'IT'S A GIRL!' painted in black. 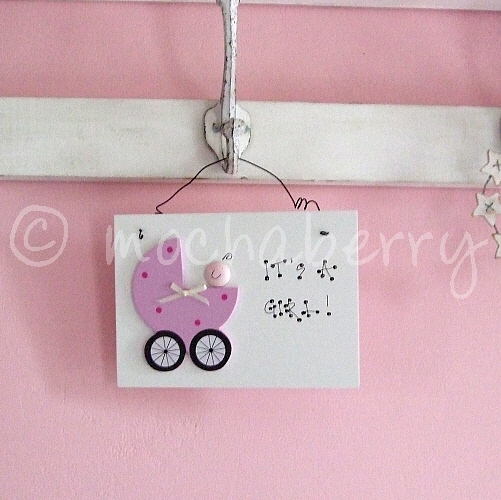 The sign has a wooden painted baby's face and a pink spotty pram on the front with a little cream bow on the pram. The sign hangs from a black wire.